How can I access Business Connect services? You can register online for an advisory session or to book an event. Or call 1300 134 359 to book an appointment with a trusted advisor in your local area. Business Connect advisors are mobile. A local advisor can meet you at a convenient time and location, including at your business and outside of normal business hours. How can Business Connect support my business? With a network of local advisors available across NSW, complemented by specialist support and practical workshops and events, Business Connect provides the advice, skills and information you need at any stage of your business. Our advisors have the experience and knowledge to tackle a range of issues, from business planning and marketing strategy, how to access finance through to defining the best structure for your business. Digital specialists are available to provide expert advice on digital readiness and digital innovation, including growth hacking strategies, search optimisation, design thinking and project and automation management. Creative specialists are available through Business Connect to provide expert advice and support tailored to businesses in the creative industries. Business Connect also supports disrupted industries with specialist support for disability sector businesses, taxi and hire car businesses and for businesses affected by the construction of the CBD and South East Light Rail. Am I eligible for Business Connect? If you own a business or are thinking of starting a business in NSW then Business Connect can help. This includes social enterprises, co-operatives and trusts. You must have the right to live and work in Australia and be a resident of NSW and/or have your business premises located in NSW. You can check your visa entitlements or find out more about business migration to NSW. How much does Business Connect cost? The first four hours of one-to-one business advice is free. Workshops, seminars and further advisory sessions are affordable and highly subsidised by the NSW Government. You will pay a small contribution per event or hour. Your Business Connect service provider will inform you of any fees before support is provided and arrange payment of any applicable fees directly. Exemptions: There are no fees for selected industries, this includes the taxi and hire car industry, businesses affected by the construction of CBD and South East Light Rail, Newcastle Light Rail, Fishing Co-operatives and businesses in the Disability Sector. How much support can I access under Business Connect? You can access a maximum of 34 hours of support in total over the lifetime of the program. If your small business is affected by the construction of the CBD and South East Light Rail (Sydney) or is in the Point to Point (taxi and hire car) or disability sector, you may be eligible to access additional services. Can I choose any advisor? Yes. You can book a phone or online meeting with any Business Connect advisor. A trusted local business advisor can meet you at your business premises or another convenient location. Select your region or council area to find your local advisor. You can also search for an advisor by industry or business topic. If you choose an advisor that isn’t local and it is convenient for you to travel to meet them in person, you can. You can also see different advisors if that best suits your needs. For example you might have an advisory session with your local advisor, then see a specialist advisor, then attend a workshop, then meet with your local advisor again. When booking a session with a different advisor, please let them know what you’ve been working on. Who are Business Connect advisors? 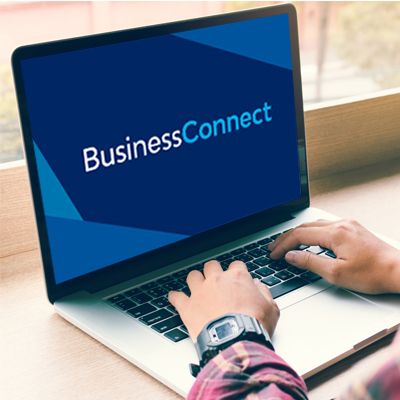 Business Connect advisors are experienced professionals who provide confidential advice independently from the NSW Government. Advisors have experience running a small business themselves and have a qualification in a business-related discipline. Our accredited advisors also have management, consulting or prior experience giving business advice with a broad range of skills covering essential business topics. Advisors can support you to tackle a range of business matters such as business planning, looking at your options and diversification opportunities, marketing, digital marketing and HR and connect you to local professional services on a merit basis. Find out more about the skills and experience of business advisors. How long is each advisory session? Your advisor may recommend a one hour advisory session. If it is more convenient for you to have a longer or shorter session, please let them know at the time of booking. What should I do if I know the Business Connect advisor? If you realise you know the advisor, you can decide if you want meet with them or see someone else. If you do not want to continue, contact the provider and request another advisor. What grants or other government assistance is available for my business? Your Business Connect advisor can assist you to locate additional support that may be available for your particular business circumstances. The Commonwealth Government’s free Grants & Assistance Finder can also help you locate grants and assistance that may be available to your business. When searching for funding, keep in mind that you’ll generally need to meet certain criteria to be eligible, and that aside from funding assistance, many programs can help your business by building your skills and knowledge. If you are starting a business, find out more about how the NSW Government supports businesses. If you want to grow your business, find out more about how the NSW Government supports businesses. Be cautious of websites offering access to databases of government grants for a fee. These websites often give the impression they have government affiliation by using prominently-placed official logos, links to genuine government websites and photos of well-known Australians or landmarks. However, the fees charged by such sites are unnecessary because this information is made available for free on government websites which end with .gov.au. How do I access translation services? Multicultural Business Connect advisory services are available in Arabic, Cantonese, Mandarin, Korean and Vietnamese. If you need an interpreter in a different language, you can access phone interpreting services for your advisory session in over 160 different languages through Translating and Interpreting Services (TIS). Let your business advisor know the language you speak and they will arrange an interpreter. For more information visit the TIS national website or call 131 450 for the cost of a local call and tell the operator the language you speak. How do I provide feedback on Business Connect services? After your first advisory session and after a workshop you will be asked to complete a short three question survey to provide feedback. You can also email us or call 02 8222 4805. When is the Business Bus next in my areas? The Business Bus provides mobile business support, find out when the bus is in your area and book online or call 1300 134 359. How do I become a Business Connect advisor? Advisors need a range of skills and experience, including experience running their own business, a business-related qualification and management, and consulting or advisory experience. Each organisation delivering Business Connect services will recruit personnel where vacancies arise. How do I become a Business Connect provider? Business Connect service providers have been engaged through a competitive tender process. Further details are available at NSW eTendering. You can sign up to alerts on the website for future supply opportunities. Please note that we are not currently seeking any additional services. Who are the organisations that deliver Business Connect services? You can find the list of all the Business Connect providers delivering the Business Connect program.